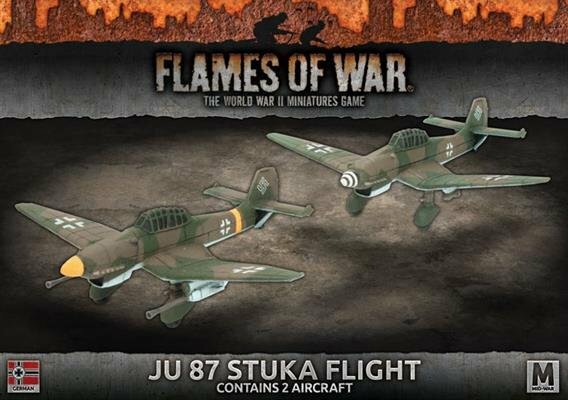 includes two resin and metal Ju 87 Stuka aircraft, two plastic flight stands, one decal sheet and one Unit card. Though its design seems somewhat clunky and old fashioned, the Stuka provided a much-needed service to the Luftwaffe and her allies as a ground attack aircraft. Despite the initial perception, the Stuka included some innovative features, such as an automatic pull-up system to ensure that the plane recovered from a dive even if the pilot lost consciousness from the G-forces.